Sixteenth Friend: Abraham Cowley, “The Given Heart” – Everything is Oll Korrect! 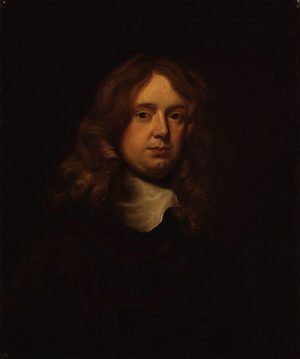 Another poet, another friend, another cavalier, this time Mr. Abraham Cowley. He was born in 1618 and like a few other writers we’ve covered, especially from this era, he was multitalented and had some success as a poet, playwright, essayist, and even as a promoter of the Royal Society. During the Civil War he accompanied the queen to France, where he worked for the royal household. He was able to return to England in 1656, and spent most of the rest of his life living a largely solitary life writing. Like most of the cavalier poets, despite some success in his own lifetime Cowley isn’t widely read today. His reputation has had its ups and downs over time, and Dr. Johnson said that he “has been at one time too much praised and too much neglected at another.” Though not the best poet of his era, he was a talented man and I suspect that his current neglect stems not so much from any fault of his so much as from fashion. Those who read poetry at all are still caught up in something of a romantic mode, looking for outpourings of emotion, so the more formal, restrained style of the Seventeenth Century comes across as stiff to our ears regardless of how heartfelt a given poem may have been. The explosion of (mostly bad) free verse has deadened our senses to technical skill, and many readers find it difficult to read verse not written in modern, everyday language. They have giv’n their hearts away. From hers, th’ allay; from mine, the metal take. Well, it’s a quite solid, respectable love poem, albeit not a happy one. I do like the explosive imagery in the third and fourth stanzas, and the work ends on a strong note in the last stanza contrasting the purity of his heart with hers. This probably isn’t a poem I’ll remember forever, but may hang onto the ending.